It is only the first full week of 2014 and already both the Cleveland Browns and the Cleveland Cavaliers have had one heck of a time. 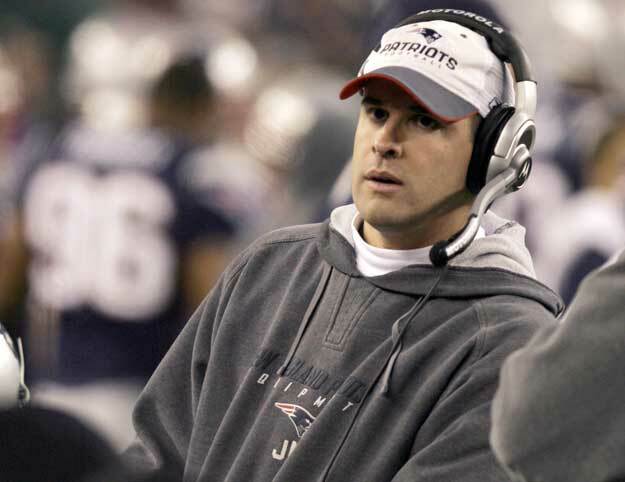 The best news of the year came earlier today when New England offensive coordinator Josh McDaniels said he was not interested in the Browns head coaching job, a position he interviewed for over the weekend but was never officially offered. McDaniels had been the presumed favorite to replace fired coach Rob Chudzinski, primarily because he works for New England and when it comes to the Patriots and their assistant coaches, current Browns general manager Mike Lombardi simply can’t see that the emperor has no clothes. McDaniels carries a career winning percentage of .393 (in line with former New England assistants and Browns coaches Romeo Crennel and Eric Mangini), actually made the St. Louis offense worse the one year he was offensive coordinator and, like every other coach who has worked for Bill Belichick, has never succeeded unless he is standing next to Belichick and quarterback Tom Brady. So McDaniels did the Browns a favor by excusing himself from consideration, given the fact that the Browns may not have been able to pass up a third visit to the poisoned Belechick coaching tree in an attempt to hire a coach that Lombardi openly lusts after. The Browns are not just sitting ideally by waiting for people to reject offers before they are even made. Team officials spent the day on Wednesday reportedly interviewing Green Bay quarterback coach Ben McAdoo, who has been with the Packers for eight years. He spent six years as the tight ends coach before taking over as quarterbacks coach the past two years. What’s that, Browns fan? You’re concerned that the Browns would be asking McAdoo to make the leap from position coach to head coach without first being a coordinator? Have no fear, because that is the same path that Andy Reid took from Green Bay to Philadelphia when current Browns CEO Joe Banner was with the Eagles. Banner likes to point out that the Eagles were the only team to interview Reid. So history would surely repeat itself if the Browns were to name McAdoo as their coach. In all seriousness, though, the more people the Browns talk to the better. It can’t hurt to pick the brains of other coaches from around the league or from the college ranks, which is why we’re hoping that Auburn’s Gus Malzahn at least grants the Browns an interview if they request one, even if he has no intention of leaving Auburn. It seems like it would be very helpful to hear Malzahn’s thoughts on some of the players in the SEC that the Browns might possibly be considering drafting come May. Speaking of the draft and SEC players, the McDaniels news came on the heels of the announcement that quarterback Johnny Manziel will leave Texas A&M and enter the upcoming NFL Draft. Manziel joins Teddy Bridgewater, Derek Carr, Blake Bortles and A.J. McCarron among the list of players in this year’s draft, meaning that at least a couple of quarterbacks available when they pick at No. 4. Now whether or not the quarterback they actually want will be available at No. 4 remains a question, but it is not hard to imagine Manziel sitting there when the Browns are on the clock. Of course, the more we think about it the more possible it seems that the Browns will not take a quarterback at No. 4 despite the almost universal belief that that is what they are going to do. The Browns are nothing if not unconventional, and we can’t help but keep thinking about that Bill Walsh quote we mentioned earlier this week. We could see the Browns filling another, albeit less pressing, need with their pick at No. 4, thinking they can use the second first-round pick they acquired from the Colts to move up and select a quarterback later in the first round (or maybe even waiting until the second round). Remember, this is a front office that considers itself smarter than everyone else in the NFL, so at this point we wouldn’t put anything past them. As for the Cavs, they were somehow able to turn Andrew Bynum, their injured center who apparently had lost his desire to play basketball in Cleveland, into small forward Luol Deng, an actual NBA player who just happens to play small forward, a spot in the lineup that has plagued the Cavs all season long. 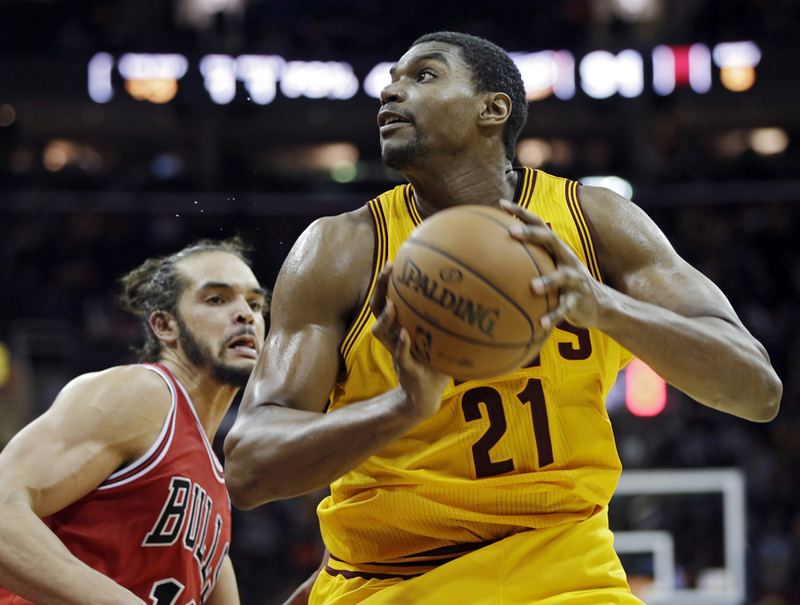 In addition to Bynum the Cavs gave up their right to Sacramento King’s first round draft pick (which has several restrictions on it and, thankfully, we don’t have to think about it ever again), two second-round picks (which rarely amount to anything) and allowed the Bulls the option of swapping first-round picks in the 2015 draft if the Cavs pick is not in the lottery. We know that lopsided trades are rare, but the only negative we can find in this deal for the Cavs is that Deng will be a free agent at the end of the season and recently turned down a reported three-year, $30 million contract extension from the Bulls. But the Cavs have the rest of the season to see how Deng fits into the team and can offer him the best deal this summer if they like what they see. As for Bynum, we were skeptical when the Cavs signed him and never bought into the notion that the deal was “low risk, high reward.” Bynum was immature and problematic when he was healthy and winning in Los Angeles; why anyone thought he would be happy as an injured player on a losing team was something we never could understand. The Cavs were also a worst team when Bynum was on the court, especially in allowing fast-break points. With Bynum on the bench, the Cavs allowed just 11 fast-break points per 48 minutes, which would put the Cavs among the league’s top four in that category. But with Bynum on the court and unable to move, the Cavs were allowing nearly 19 fast-break points, which would have put them dead last. The Bulls waived Bynum on Tuesday and he is now reportedly being pursued by eight teams, with Miami and the L.A. Clippers supposedly among the leaders to sign him. Good, let him be someone else’s problem from now on. Well played, Chris Grant, well played. Now if we could have a talk about Anthony Bennett.